This time of year, with heaps of golden leaves on the ground and the smell of damp, mushroomy autumn into winter, brings with it all kinds of culinary scents and flavours. 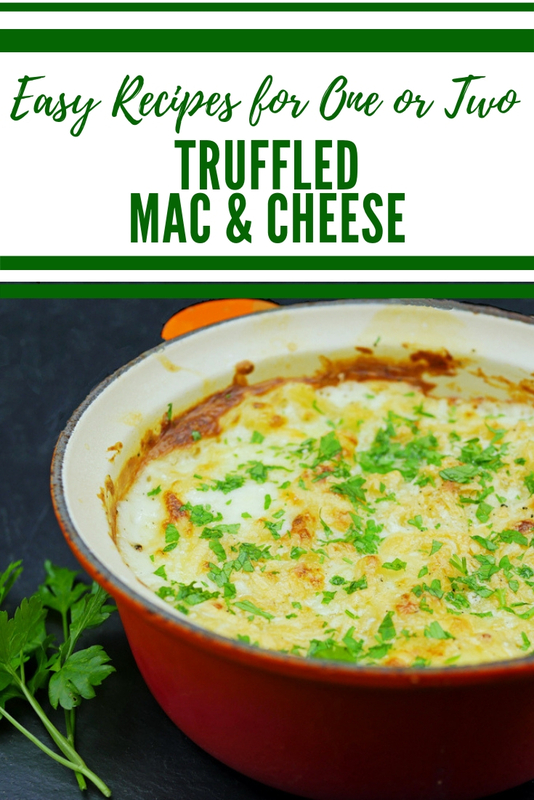 For me, from late October through winter, I crave comfort foods like this easy truffled Mac and Cheese, baked in the oven, warming the whole of my kitchen study area. If I am making anything special in autumn, my mind tends to turn to truffles, along with red wine, warming spices and buttery dauphinoise. Earthy, aromatic and uniquely flavoured, truffles, when I can get hold of them, are one of my favourite additions to dishes like Mac and Cheese. While I don’t generally have fresh truffles in the house, I make something that is so close my own palate can’t tell the difference, using white truffle oil and good quality cheese. Occasionally I’ll have leftovers from a dinner party of a truffled goats cheese that I buy at Borough Market, but unsurprisingly it’s never enough without a dash of truffle oil. 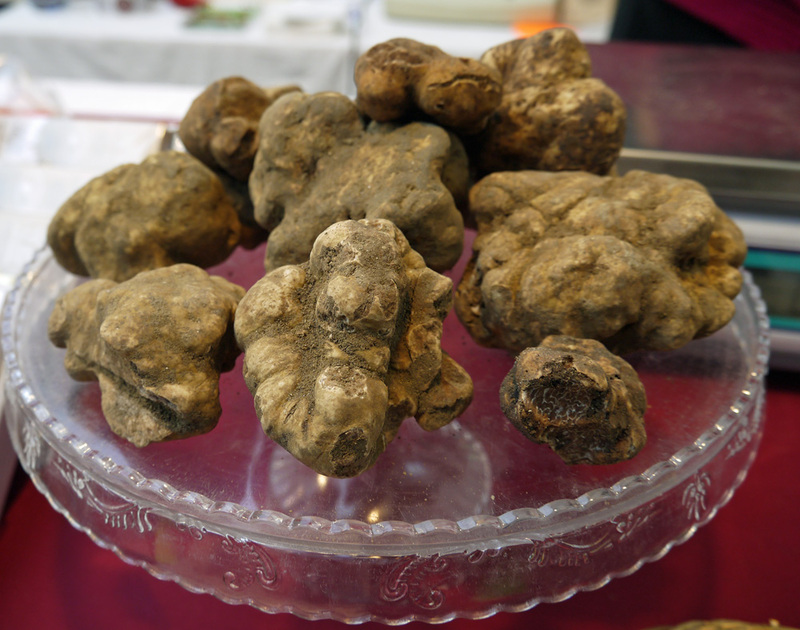 The winter white truffle is sometimes called the ‘Alba or Piedmont Truffle’. It’s commonly found in the Piedmont region of Italy, where it hides, a few inches down in the earth, under the roots of hardwood trees like oak and chestnut. Specially trained dogs are now used to sniff them out. Historically, the truffle hunting was done by sows (female pigs), but apparently, the truffles smell like porcine pheremones – and the pigs had a habit of enthusiastically finding and then eating them! That leads me to wonder why they are so popular with humans – perhaps there is a similarity between pig and human pheremones? Whatever, in their natural state, white truffles are extremely expensive. Fifteen grams of winter white truffle will set you back £75. 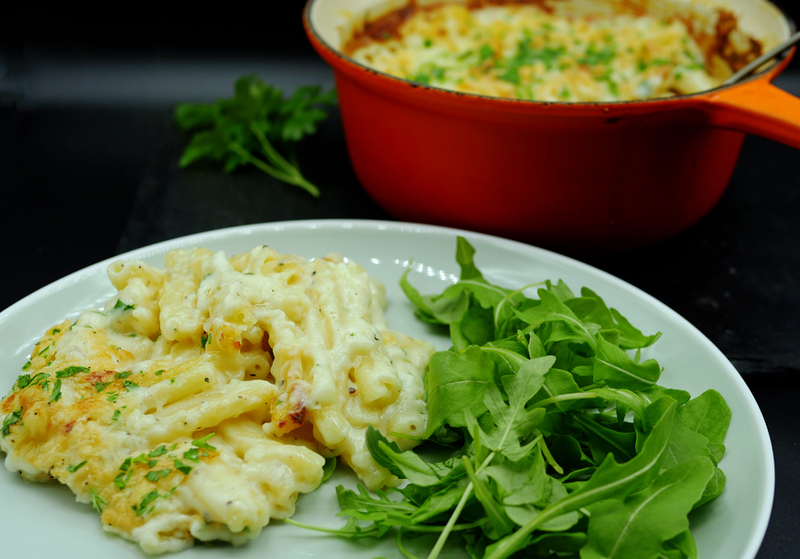 So, using white truffle oil if you are making a truffled mac and cheese is really not a bad idea! I was thrilled to be sent a bottle of white truffle oil from Fine Food Specialist UK just as the weather started to get chilly this week. And, I decided to make up some Mac and Cheese so I could photograph and share the recipe with you. Without further ado, here’s how to make a truffled Mac and Cheese. Over a medium heat add the milk, little by little, stirring all the time. Taste and season with salt and pepper. NB it is important to leave seasoning till this stage as the cheese can be salty! What do I like best about this recipe? The addition of just a little truffle oil lifts it to something very special but you can make it your own by adding a few extras! You could add scraps of ham or leftover chicken if you wanted to pimp it up further. It needs nothing more than a green salad to make the perfect winter supper. 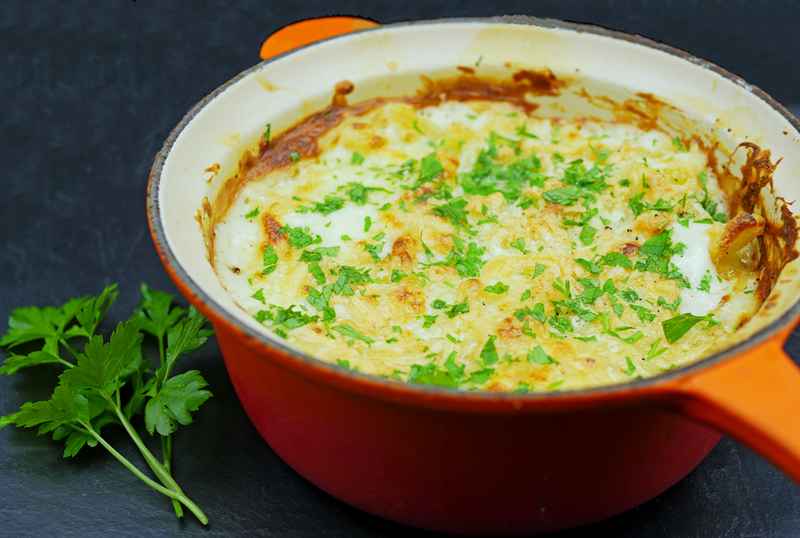 Or if you happen to be feeling totally indulgent, it makes a great side dish for a good steak! Now, where’s this going? 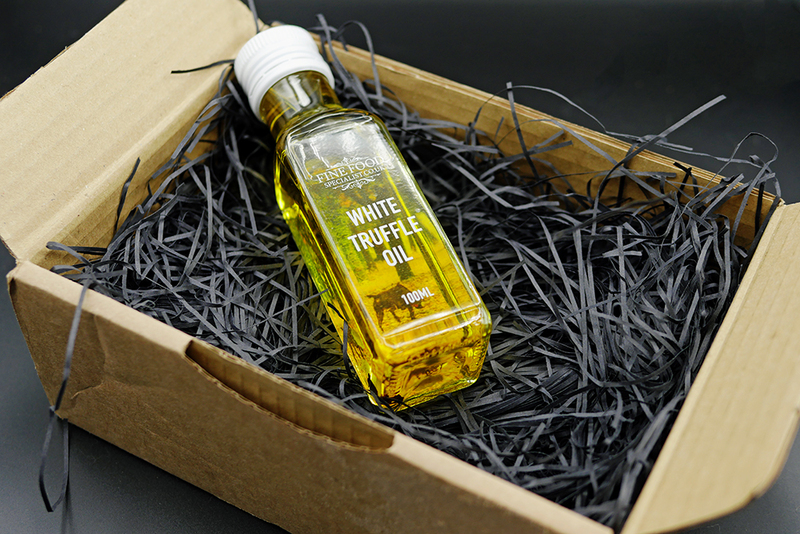 Well, I’m delighted that I’ve got a bottle of White Truffle Oil from Finefoodspecialist.co.uk to give away to one lucky London-Unattached reader. All you need to do is to complete the rafflecopter, remembering to answer the mandatory question – what would YOU use the white truffle oil for? Here’s another idea for me which is utterly delicious – wild mushrooms with soft boiled truffled quails eggs. I’m really looking forward to hearing what you come up with! 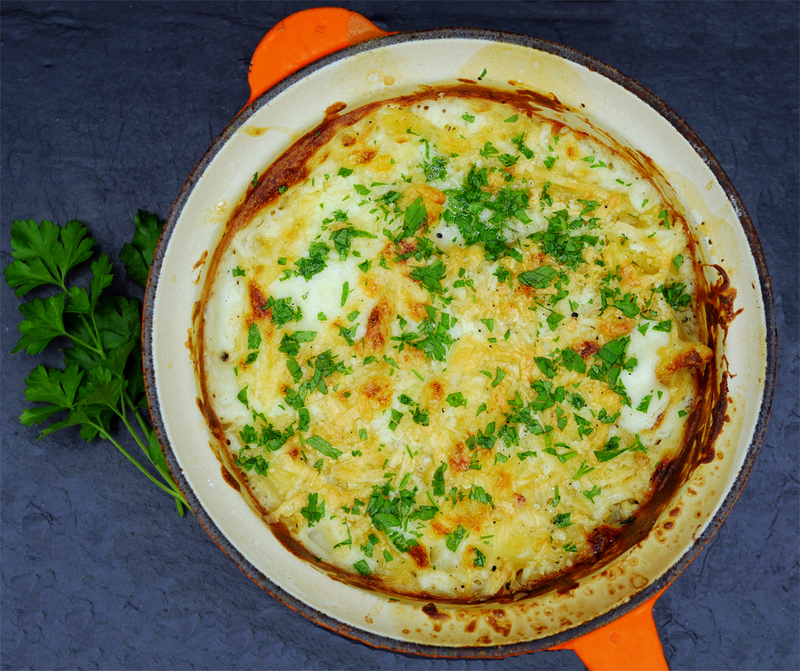 Oh and if you like the look of this recipe, why not pin it for later! I want to make this recipe. This recipe looks good. I love mac and cheese, but for some reason, it’s one of those things I never think to make. Well I’m not going to forget this recipe in a hurry.